The term heat-tracing refers to the continuous or intermittent application of heat to a pipeline or vessel in order to replace heat loss to ambient. The major uses of heat-tracing include freeze protection, thawing, maintenance of fluids at process temperature (or at pumping viscosities), prevention of fluid component separation, and prevention of gas condensation. The following examples are typical of the diversity of heat-tracing applications: freeze protection of piped water; transfer of molten process chemicals such as phosphoric acid, sulphur, and p-xylene; low-viscosity maintenance of pumped fluids including petroleum products, vegetable oils and syrups, polymeric and resinous materials, and aqueous concentrates and slurries; avoidance of condensation and subsequent improper burning of fuel gas in refineries; preventing moisture from condensing out of piped natural gas; preventing freezing of control valves and compressor damage; elimination of pipeline corrosion due to wet hydrogen sulphide resulting from condensed moisture. Heat-tracing may be avoided in situations where heat loss to the environment can be effectively minimized. In cold climates or areas with severe winters, water pipes are often buried below the frost line. Alternatively, they may be kept from freezing by running them through heated buildings. In cases where flow is intermittent, tracing might be avoided by designing a self-draining system such as those used for steam condensate returns. 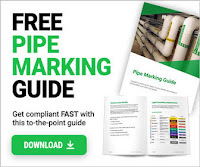 Pipes may also be cleared after use by means of compressed air, steam, or solvent flushing or ‘‘pigging.’’ The self-draining method is suitable only for infrequently used pipes due to the high labor costs involved in cleaning and the potential cost and scope of repair, should a pipe not empty properly. A third approach in the avoidance of tracing is to design for 100 percent flow. This practice is not recommended since equipment breakdown or process interruption may result in an irreversible drop in the temperature of the piped fluid.